Lil' Inker: Holiday Cards and More Reject Blog Hop Time! 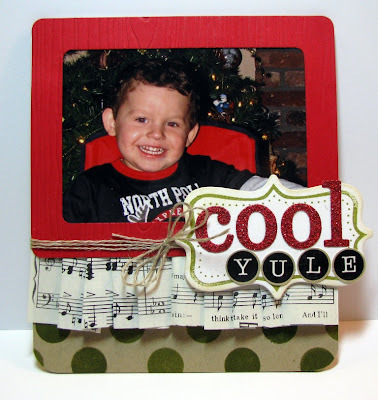 Holiday Cards and More Reject Blog Hop Time! Well helloooooo, Everyone! I am here to post a card that did not get accepted into the Paper Crafts Magazine Holiday Cards and More issue. BUT I am also here to celebrate because I did get one project accepted into this issue AND it features one of the products from my company, Lil' Inker Designs!!!! That's right, Lil' Inker Designs is going to be published for the first time and I am literally over the moon excited about this!!! I am going to keep you in suspense though as to what and how the product is being featured. For now, though here is the project that I thought had a better shot of the two accepted which I entered into the photo card category. I have to say, even though this project wasn't accpeted, it's something I'm going to frame and cherish especially during the holidays. Don't forget, there is a current call for holiday themed cards for the Nov/Dec 2011 issue of Paper Crafts Mag. So RE-SUBMIT those cards that didn't make it. But if you have one like mine which doesn't meet the criteria of the call, why not upload it to the Holiday Special Issue Reject Blog Hop at the Damask Love blog by the amazing Amber Daigre for all the world to see! Aww..what sweetness is that? Love the colors and the sentiment. Really cool! Cute card and congrats on the publication! This is adorable! Congrats on being published wity your company, wohooo! I finally made my first pin wheel card! I'm tickled with it! Thank you so much. What a great picture! This is adorable.